This comprehensive program includes a blending of carefully selected travel and tourism courses and a good overview of the four core competencies in the Business Management program. Curriculum includes both International and Canadian content. Classroom instruction is enriched by research assignments, field trips, guest speakers, and industry events (when available). 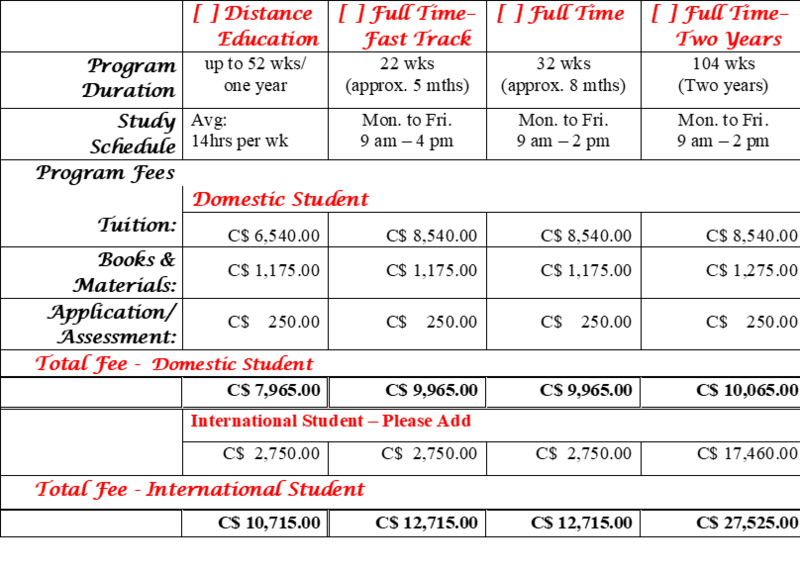 Travel College Canada offers a variety of study options to suit the lifestyles of our diverse student population. Review the options below, and we invite you to call or email for assistance in choosing the best option. This is an 800 hours training program, available in a choice of four study options. Program content, assignments, and tests are the same in all, so there is no compromising on quality and value. BUS101: How to Start & Manage a Small Business The student will learn about types of businesses, licensing, registration, bonding and insurance; and the option of specializing in a “niche” market and/or destinations e.g. Adventure travel, luxury, cruises, weddings, honeymoons, spas/wellness etc). Writing a Business Plan is a major assignment. 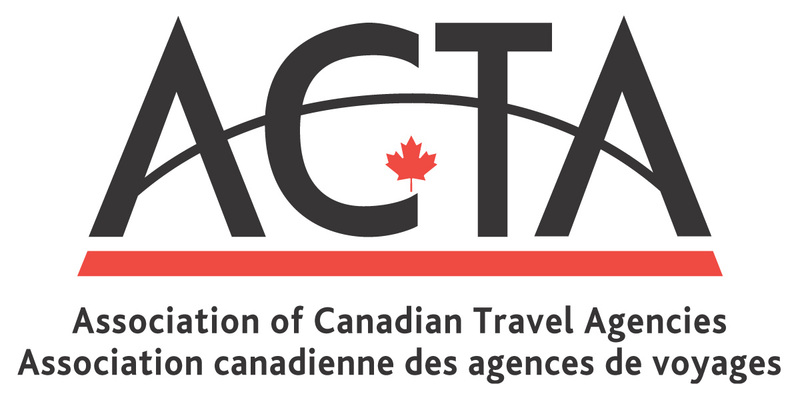 Those considering a career as a Home Based Travel Agent will be particularly interested in learning about some of the most well established Host Agencies and the importance of personal selection to maximize success. BUS102: Financial Matters (Management) The student will learn about the accounting cycle including the flow of monies, and the importance of budgeting, planning and financial forecasting. BUS103: Marketing, Advertising & Sales (Plans and Budgets) The student will learn various ways of promoting products and services and the importance of preparing Plans and Budgets to ensure success. BUS104: Human Resources Management The student will learn about employment and labour laws; employer/employee rights and liabilities; employment contracts; how to search, interview and hire the best; and how to determine and write job descriptions. We are proud to announce we have entered into an Agreement with Noble International University (NIU). 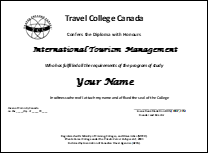 This will be opportunity for graduates of Travel College Canada interested in advancing their studies in courses such as: Environmental Studies, or Environmental Peace among others, to receive 800 hours of education credits toward a Bachelor Degree and/or Master Degree from Noble International University. Note: The student pays the required on-line exam fee directly to CITC/TICO.